How can this NOT be awesome?! On Friday, December 4th, Bill Murray and his celebrity friends will be bringing the holidays to naughty and nice fans around the world with the Netflix original holiday special, A Very Murray Christmas. Written by Mitch Glazer, Bill Murray and Sofia Coppola, and directed by Sofia Coppola, A Very Murray Christmas is an homage to the classic variety show featuring Bill Murray playing himself, as he worries no one will show up to his TV show due to a terrible snow storm in New York City. Through luck and perseverance, guests arrive at the Carlyle hotel to help him; dancing and singing in holiday spirit. The star-studded cast also includes Michael Cera, George Clooney, Miley Cyrus, Dimitri Dimitrov, David Johansen, Rashida Jones, Jenny Lewis, Amy Poehler, Chris Rock, Maya Rudolph, Jason Schwartzman, Paul Shaffer, Julie White, the band Phoenix, and more. 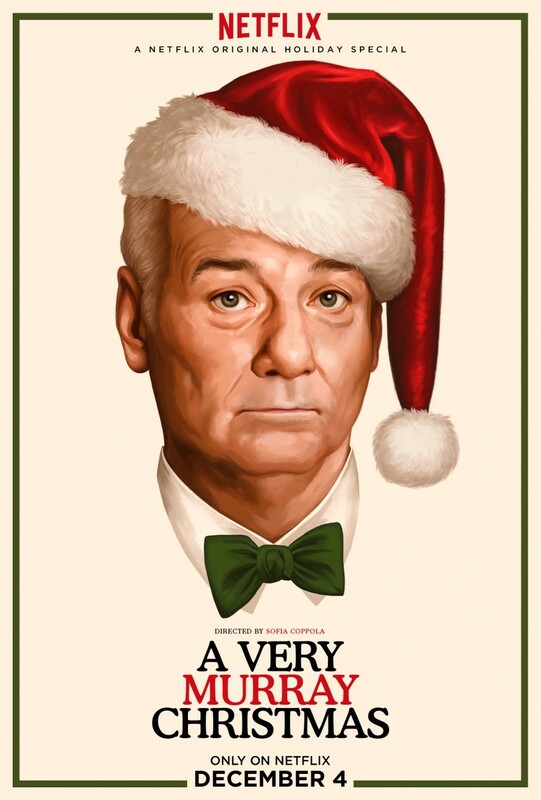 A Very Murray Christmas is executive produced by Coppola, Glazer, Murray, Roman Coppola and Tony Hernandez. Follow @Netflix for more information on A Very #MurrayChristmas this holiday season. This entry was posted in Netflix, News, Streaming and tagged a very murray christmas, Amy Poehler, Bill Murray, chris rock, David Johansen, Dimitri Dimitrov, george clooney, jason schwartzman, Jenny Lewis, Julie White, Maya Rudolph, Michael Cera, Miley Cyrus, Netflix, Paul Shaffer, Rashida Jones, sofia coppola by Melissa Hanson. Bookmark the permalink.